Commander Nebula: [about XR] Sweet mother of Venus, what did you do to him? LGM 1: We, uh, fixed him. Warp Darkmatter: Why didn't you tell me? Buzz Lightyear: Sorry, it was strictly need-to-know classified. Warp Darkmatter: I'm your partner, I need to know. Buzz Lightyear: Now you do. Warp Darkmatter: Anything else I should know? Buzz Lightyear: No, I'd say you're up to speed. Warp Darkmatter: Okay, thank you. Warp Darkmatter: [to the LGM he just saved] Any reason you were looking to shake hands with a beast from 20,000 craters? Agent Z: [during the attack on the LGM home world] Agent Z to Zurg... They sent Lightyear. Evil Emperor Zurg: [on his ship] That's why I sent you. Warp Darkmatter: All I know is that we've searched half the Zeta quadrant to find the missing LGM's and what do we find? A lot of nothing! Warp Darkmatter: [thumbing over his shoulder] There's something really bad behind me, isn't there? XR: [plugs into the ship after the bounce landing on Planet Z] Uh huh... yes... ok. The Alpha 1 is A.O.K. But it asks that we not do that again! Mira Nova: [in the shipping dock] Buzz, I have just one thing to say to you. Buzz Lightyear: And what might that be? Mira Nova: [ghosts her hand into his head] Goodnight. Buzz Lightyear: [very woozy, before passing out] Tangian... brain... squeeze. Buzz Lightyear: I must pause for a moment of silence in honor of my ship. XR: Oh, please, Buzz! It was just a hunk of metal! Mira Nova: OK, and you are...? Warp Darkmatter/Agent Z: [after revealing his identity as Agent Z to Buzz] My name's Darkmatter; who's surprised here? Evil Emperor Zurg: Prepare to die, Buzz Lightyear! XR: You know, the guy's supposed to be some kind of evil genius, and best he can come up with is a ventriloquist act. What's next, evil juggling? Brain Pod #29: Uh, about my raise...? Evil Emperor Zurg: Please. Once I enslave the universe, I won't need the likes of you. It'll be all Zurg, all the time! 24-7! Zurgie heaven! 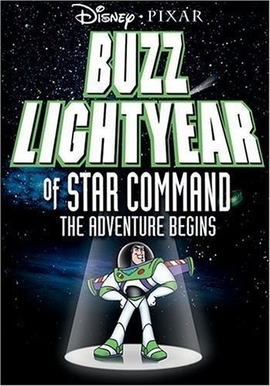 Buzz Lightyear: This diabolical plot can only be the work of the sworn enemy of the Galactic Alliance - Evil Emperor Zurg! Warp Darkmatter: What plot? You think Zurg is behind every kitten stuck up a tree! Buzz Lightyear: The fiend! Why can't he leave kitty-cats out of his nefarious schemes? Evil Emperor Zurg: This is my most diabolical scheme yet! Booster: The Space Ranger Manual says "No Ranger is allowed to go on a mission without a partner." I think it's Section B, sub-section Delta. Buzz Lightyear: Actually, it's sub-section Gamma. Mira Nova: Well if you can go out without a partner, I don't see why XR can't have a nose ring. XR: Hey, I'm not the one getting a nose ring, I was just making a statement. Booster: Then, who's getting a nose ring? Booster: That's why Buzz wants to ditch us! Evil Emperor Zurg: A delightful blend of man and machine... with just a naughty touch of lingonberry! I shall call you... Agent Z! Evil Emperor Zurg: My mother used to call me that! Grubs, Self Destruct, Ranger #1, Rhizomian Man, and Cadet Flarn: Yes, he's been saving it for one of his most evil henchmen. Agent Z: Agent Z, love it. Especially the whole "Z" thing. Evil Emperor Zurg: If you want something turned evil, turn it evil yourself. That's what Nana Zurg always used to say to me, and she was plenty evil.